Just as fast as the warmth came the cold has returned yet again. At least it was a nice break from this winter which has been unusually colder then normal. Tonight the temperature is supposed to dip down to about 7F. With this information in mind I decided to reach for a smaller vitola cigar to review. I managed to find another cigar that was kindly sent my way from our friends over at CigarsFromBrazil.com. 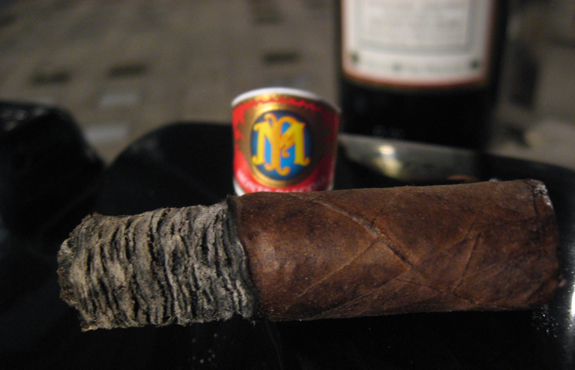 Last week I reviewed the Dona Flor and this time it is a Monte Pascoal. 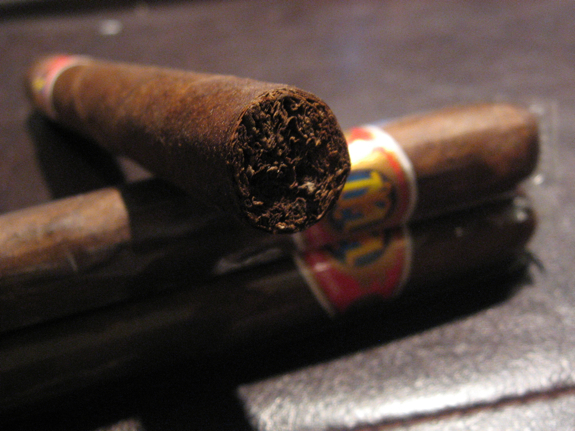 Monte Pascoal is made by the Tabacos Mata Fina Ltda company and is part of the Orsi Family Group. The tobacco portion of the Orsi’s company was established very recently in 2007 but they also have business in Wine, Steel, and Real Estate. The Monte Pascoal name comes from a part of Brazil where the first Portugeuse explorer landed in Brazil. 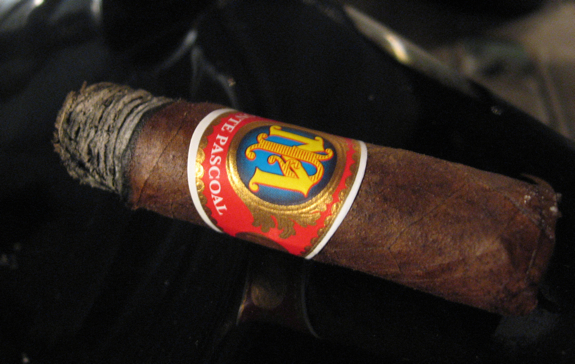 As with the Dona Flor, the Monte Pascoal is a Brazilian Puro Cigar. The Monte Pascoal line is available in 6 Vitolas and are all made with the same blend of Mata Fina and Mata Norte leaves. The blend of tobacco sounds very interesting and I’m hoping to get a lot of the expected cocoa and coffee notes that I typically get from Brazilian wrappers. Let’s light this cigar up and see how it stands. As always, I’m going into this review completely unbiased and will be giving my wholly honest opinion as I burn away. •	This burn is perfect, absolutely no waves or retouches from start to finish! 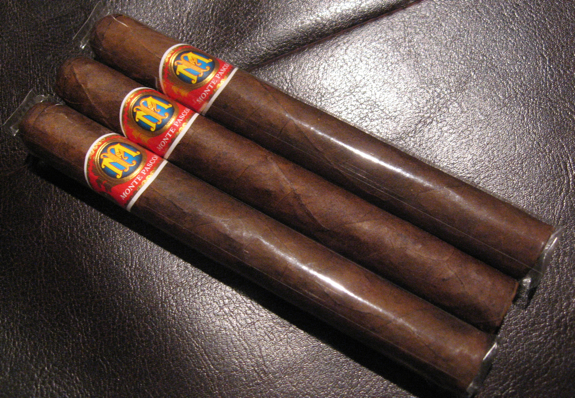 Similar to the Dona Flor (also from CigarsFromBrazil.com) this cigar ranked in the mild-medium range. It would be a good early day cigar with your morning coffee or something light after lunch. Unfortunately the flavors never “wowed” me on this stick. The were tasteful and well balanced but didn’t offer enough variation or complexity to keep it interesting. With a shorter vitola like a corona I wouldn’t expect tons of dimensionality but I usually like to see at least one noticable change in flavor direction as it smokes. 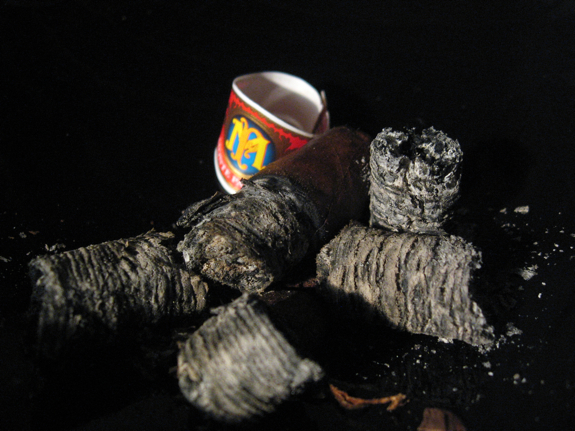 The cigar itself burned very well and is worth trying if the woodsy and tobacco flavors are in your favorite profile. The initial aromas on the wrapper and foot promised some more interesting flavors that never came to fruition. I haven’t paired a port for a review in quite some time. Not sure why, I’ve been enjoying some Port with cigars but it never fell in line with one of my reviews. Today I’m pairing with a bottle that’s new to me. I saw it at the store and decided to give it a try. It’s a 2004 Late Bottled Vintage from Quinta Do Tedo in Portugal. It ranks in at 19% alc./vol. but it tastes no where near that. This particular Tawny Port is a bit sweeter then I’d usually like. It has lots of bright and fruity flavors such as blackberries and a tartness akin to cranberries. It also has a presence of a Merlot like wine to it. It’s very tasty and great for anyone looking to just start into tasting Tawny Port. 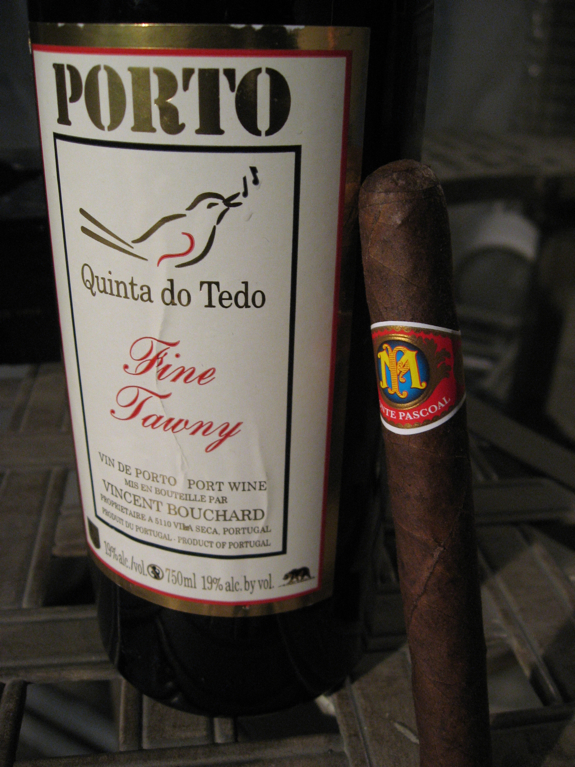 In this particular pairing I think the port was too sweet for this mild cigar and would have been more enjoyable with a stronger cigar pairing. 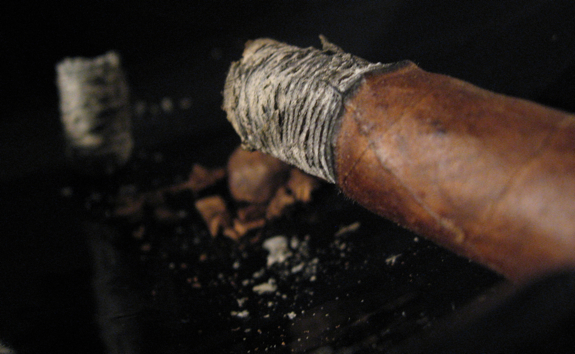 This cigar would have paired much better with a cup of coffee, dark cola or an amber beer. I love the fact your reviews are honest.Great job.I like the fact I get an E mail when a new review comes up.All though I visit everyday anyway. Good stuff Big D! I have not seen these anywhere around here, and not sure if I will jump on them with out some more opinions and reviews. Thanks! @Tadd – Thanks Big T! These and the Dona Flor seem to be hard to find, there’s a couple online shops you can find them at if you really wanted to try them. Daniel I have several of these smokes sitting in my humidor and from your review I think I will get to smoking them. Great review you guys rock. Hey Daniel and all my fellow cigar lovers. 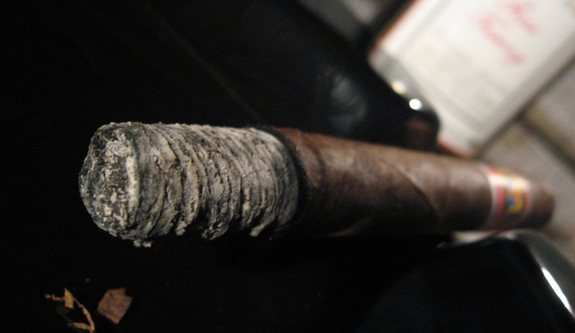 I’m smoking the Monte Pascoal as I write this – pretty much done the cigar at this point. I have to say you’re quite right about this cigar. It’s my first Monte Pascoal cigar (never heard of it before). Anyway, the first half I thought was pretty darn good. The second half got a bit stronger and more bitter (woodsy and nuttiness became much more evident). 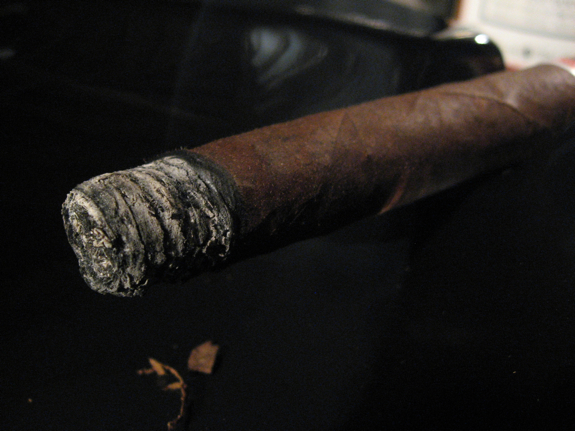 Not sure what happened to the latter part of this cigar but it wasn’t nearly as tasty as the first half. Construction, appearance and draw were very nice. Just wish it finished off as nice as it started.